NASCAR Executive Vice President and Chief Racing Development Officer Steve O’Donnell confirmed last week that the sanctioning body will utilize its so-called ”All Star” rules package at least one more time this season, and perhaps as many as three. Brad Keselowski is not a fan. The 2012 Monster Energy NASCAR Cup Series champion said Friday at Michigan International Speedway that while the engine and aerodynamic package worked well in last month’s Monster Energy All Star Race, a regular diet would “have a severe long-term negative effect. 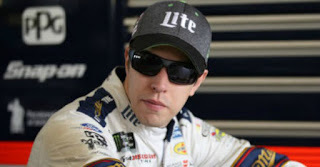 “I think that package needs to remain solely at the All-Star Race,’’ said Keselowski said. “A lot of the drivers in this sport are in a position where they chose Cup racing because of the demands the cars take to drive. I think there are a lot of fans that come to our races expecting to see the best drivers. If you put a package like this out there… on a consistent basis, the best drivers in the world would no longer go to NASCAR. They’ll pick a different sport. NASCAR’s All-Star package utilized a larger rear spoiler and front splitter, along with a restrictor plate to lower speeds, increase drag and bunch cars closer together. The race was a hit with fans, but the Team Penske driver said he fears the attraction will fade over time. “I saw the videos of people in Charlotte standing on their feet,’’ he said. “Part of that is the legacy that the sport has to have the best drivers. But I think over time, that would deteriorate. We have seen that with IndyCar. A decade ago, if you wanted to see the best racing in the world, it was in IndyCar. They ran three- and four-wide and put on great shows, but long-term it didn’t translate to the fans or better ratings than NASCAR. Keselowski said he believes NASCAR’s current rules package rewards driver skill, while racing with a restrictor plate equates to a random lottery. “First through fourth (place) has control of their own destiny and have acquired that finish based on talent (and) skill,” he said. “From there on back, it is a random bingo ball. The top four or five generally dictate their finish and the rest do not. Keselowski’s comments triggered a maelstrom of debate, both on social media and within the NASCAR garage. Some observers accused him of forgetting his roots, pointing out that his first career MENCS win came with team owner James Finch in 2009 at Talladega. 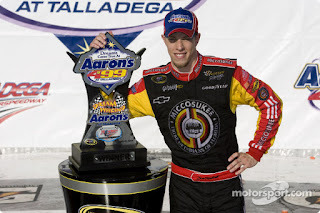 At the time, Keselowski was a full-time NASCAR Xfinity Series driver with only two wins to his credit, while Finch was winless in approximately 200 Cup Series starts. At the time, Keselowski expressed no misgivings about an engine and aerodynamic package that leveled the playing field and allowed dark horse teams to compete for the win. Today, however, with a top-notch position at Team Penske, the Michigan native seems less interested in spreading the wealth. That’s human nature, and understandable to a degree. And Keselowski’s comments were supported by NASCAR Hall of Famer Mark Martin and former series champion Bobby Labonte. Given choice between doing what is best for the drivers and doing what is best for the sport, however, the question becomes more complicated. Single-file racing at 200 mph is appealing to drivers, who cherish speed above all else. Fans, however, don’t seem interested in watching a high-speed, single-file parade. They’ve seen their fill of it on NASCAR’s 1.5-mile ovals in recent years, and have largely opted out, preferring side-by-side racing, two and three-wide, with frequent lead changes and action throughout the pack. The paying customers have spoken clearly about what they want. Keselowski is correct when he says that elite drivers come to NASCAR to display their talent. But there’s another powerful reason why the top short track, Open Wheel and sports car drivers in the country come to NASCAR. They do it because that’s where you cash those big Sunday paychecks. Paychecks that purchase lavish homes, private jets and million-dollar motorhomes. Let’s assume – for the sake of discussion – that an elite NASCAR driver becomes unhappy with a rules package that tightens the field and produces more race winners. He expresses that unhappiness by announcing that he will defect to another form of motorsports. Where will he go? To Indy Car, where there are only a handful of winning teams? To IMSA, where the top drivers race for a small percentage of a midfield MENCS driver’s salary? Perhaps he will choose that path. But when he does, he’ll be leaving most of this toys behind. Keselowski’s take is understandable. If I was one of the five or 10 elite drivers in our sport, I’d also be fighting to hang onto what I have. But in an era of flagging attendance and plummeting TV ratings, a new debate seems to be developing over what is best for NASCAR’s elite drivers, versus what is best for its fans.